You can find the newest DNA editing technology in an unexpected place – cleaning wipes. These wipes feature hydrogen peroxide, made by genetically-modified enzymes. 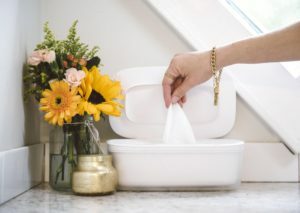 Though a greener alternative to bleach, conventional hydrogen peroxide still derives from petroleum, in a process that’s energy-intensive and often dangerous. These new enzymes, however, use plant sugars instead to produce solutions. This new approach to manufacturing hydrogen peroxide also uses agricultural waste, recycling materials like corn husks and sugar cane refuse. What if you could clean your space only with water? No harsh chemicals needed? That’s the idea behind “electrolyzed water” – made by introducing small amounts of electricity. This creates charged ions that attract and break down dirt, which can be wiped away by conventional cleaning wipes and equipment. Electrolyzed water can be produced as needed with small equipment on site, by just adding tap water, salt and electricity. 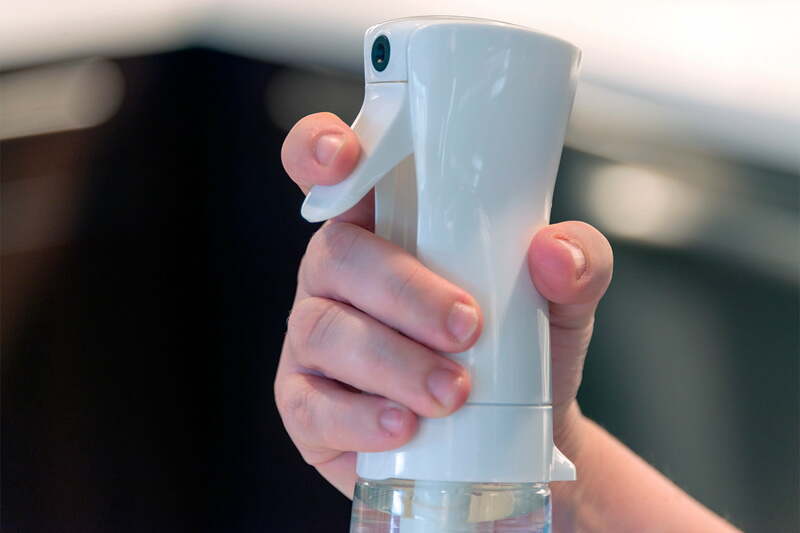 The activated water then can be added to common receptacles like spray bottles, and remains active up to two weeks. Never run out of toilet paper again. That’s the lofty goal of new networking technology tracking a facility’s cleaning needs. 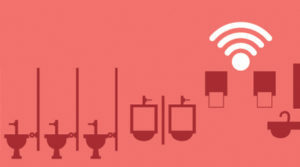 Wireless sensors can monitor supply levels of hygiene essentials like soaps and paper towels. The technology also oversees recycling and waste management, notifying waste services when receptacles are full. You can also install sensors into the floors to trigger alerts for leaks and floods. Overall, the data collected creates a clearer picture about a facility’s usage trends – a valuable tool for effective cleaning.